Value gear is a relatively new company on the market, and they make sets of resin stowage which are very well-cast and can be used on all kinds of vehicles. 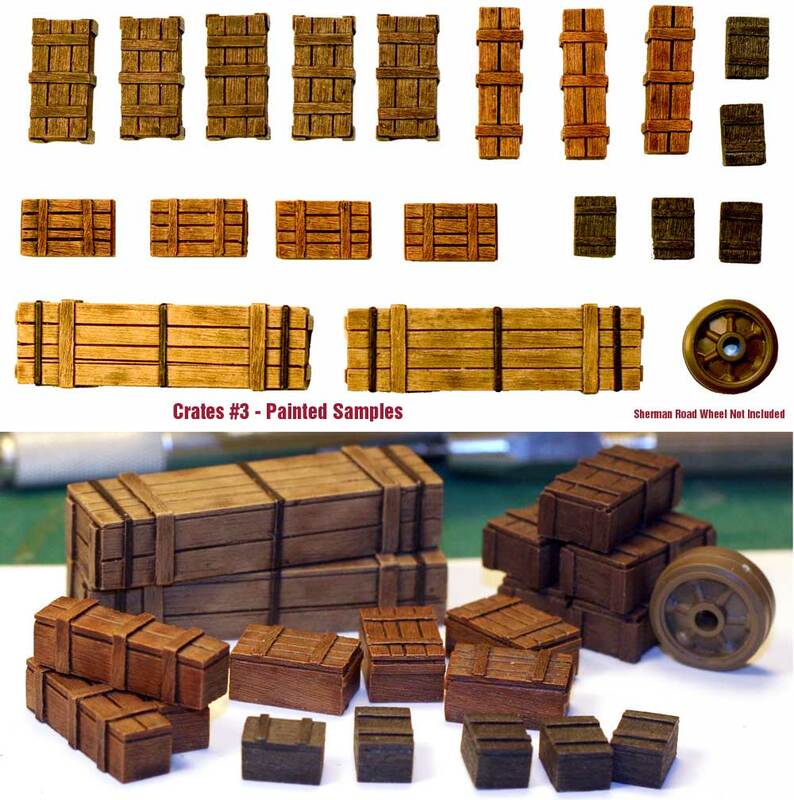 Armorama has been reviewing these sets as they come out, and I invite you to look them up on the review section. You receive a zip lock bag which contains 18 parts ( It says 19 on the package but I got 18). So you get a total of 18 pieces in eight styles. They are all cast in gray resin with no casting blocks and no casting residue. They have pretty sharp detail and very nice wood grain. I like these boxes because you can use them on a diorama or as stowage on an armored vehicle and they fit in any time period. 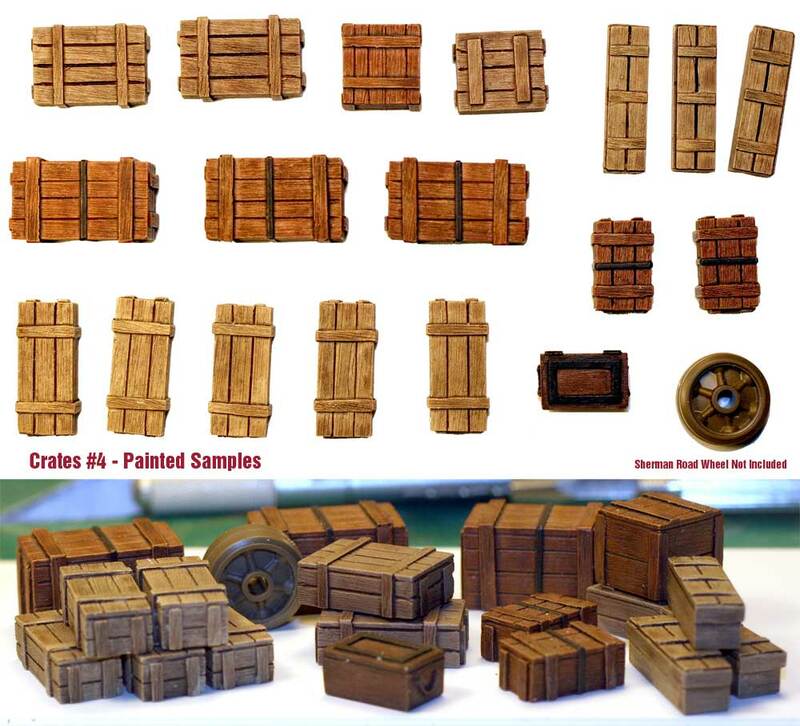 There are no painting guides,but since they are wooden crates it isn't hard to figure out how to paint them. 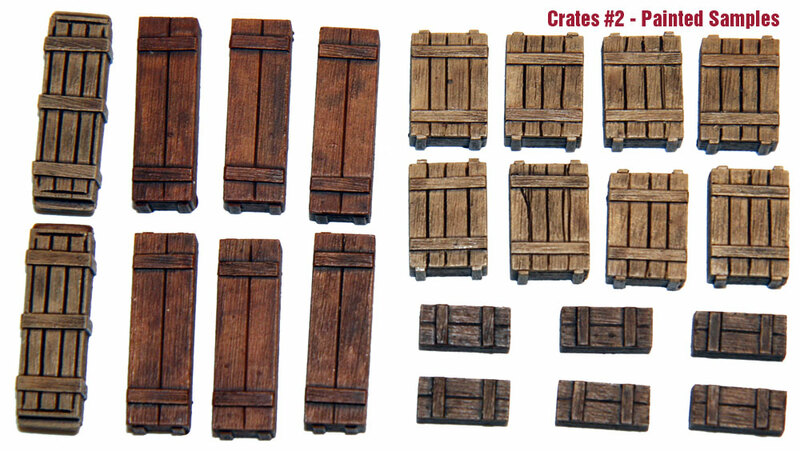 Even though I got 18 instead of 19 wooden crates, I'd say this set is well worth the money and can really look nice on a diorama. Thanks to Value Gear for providing this review sample. 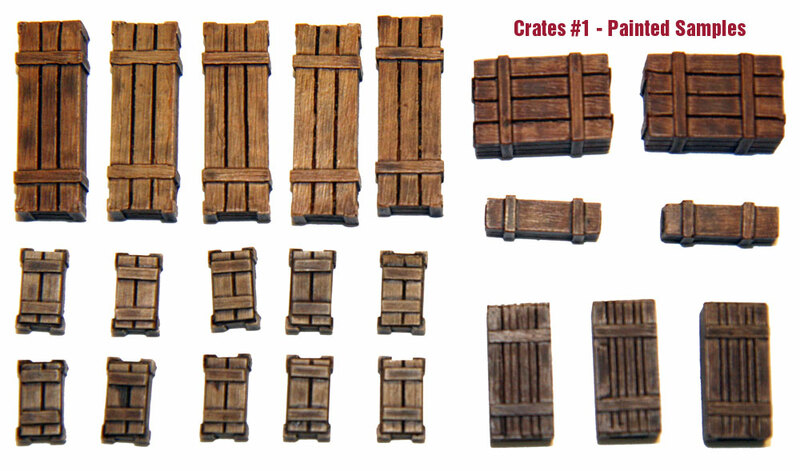 Be sure to say you saw these crates reviewed here when ordering. Lows: Except for getting 18 instead of 19 pieces (which I don't really mind), there are no lows. Verdict: Very nice set for any 1/35 builder, well worth the money.